Today at Disrupt Europe in Berlin, a few major Bitcoin actors in the European Bitcoin community took the stage to share their thoughts about the future of Bitcoin. Michael Jackson (Mangrove Capital Partners), Shakil Khan (CoinDesk) and Nejc Kodric (Bitstamp) are all bullish and have great hopes for the digital currency. Yet, a recurring thought was that the community is still very early in this journey — the average end-user has yet to start using Bitcoins. Khan, whose personal interest in Bitcoin led him to found a BTC news website called CoinDesk to be a news source for the ecosystem, revealed he has said no to most teams asking for investment. He does, however, “own some coin” and has one investment in Atlanta’s BitPay. He says he’s waiting for the next wave of digital currency companies before making some more serious investments. Hope is not a strategy and most BTC companies are relying on hope. “There is regulation involved. Hope is not a strategy and most BTC companies out there right now are relying on hope. That’s not a business plan,” he added. Khan’s view is that the Bitcoin space is in the second wave of companies — the first wave having mostly been shut down (and some even facing jail time). The current crop includes the likes of BTC exchange Mt.Gox, which he argued now has its own challengers, despite Gox’s early dominance. “I’m looking more forward to the next wave of companies. There are teams of entrepreneurs with tier-A VCs, with lawyers, with regulators, sitting in rooms around the world, thinking how do we launch the next generation of digital currency companies. I think that’s where the opportunity is. We’re still very very early in this journey,” Khan added. When it comes to the recent shutdown of deep web black market Silk Road, everyone agreed that this incident was just a small bump in the road. “Bitcoin is not reliant on Silk Road and Silk Road is not reliant on Bitcoin,” Khan said. “Yes, it may have been used on Silk Road to buy drugs, but so is cash in your pocket,” he continued. Over the past two years, Bitcoin media coverage has been mixed because of these isolated incidents, but the overall public reaction has been mostly positive. In fact, Bitcoin recently broke $200 on multiple exchanges. It may prove that getting rid of the shady marketplace has had positive repercussions. The initial 15 percent price drop is now long forgotten. While Bitcoin was initially a utopian dream come true, Bitcoin investors and entrepreneurs are now more realistic and know that they will have to deal with regulation. “Unfortunately, in 2013, society expects traceability,” Jackson said. “[Regulators] are intrigued by how it is going to play out,” Jackson said. At the same time, regulators are acting quickly, without taking the time to understand how Bitcoin actually works and how it differs from other currencies. “We’re currently following the legacy regulation,” Kodric said. “The good thing in Europe is that we have 29 different countries with 29 different legislations,” Jackson said. There will always be a European country with a sensible legislation for Bitcoin startups to operate. Yet, a key argument in favor of more regulation is that average customers expect some kind of insurance. Bitcoin exchanges have closed their doors already, and there is no obligation for these companies to give the money back to their users. 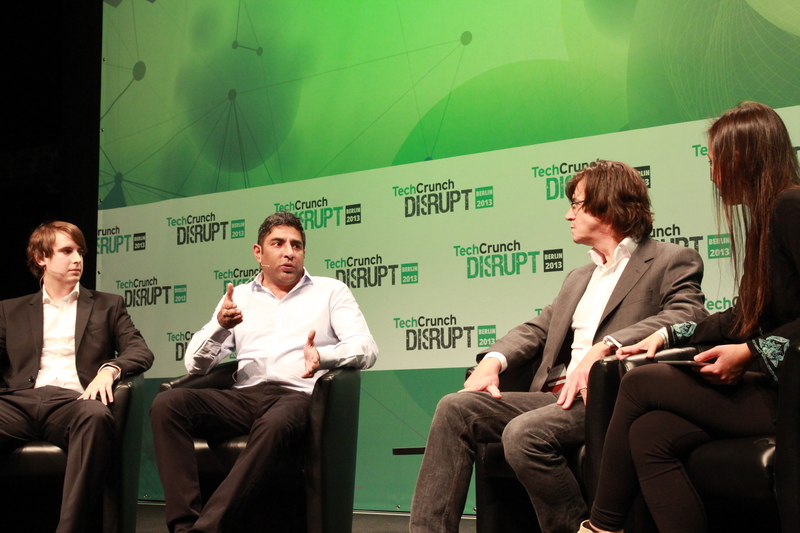 “If the average customer adopts Bitcoin, they expect some kind of regulation,” Khan said. “The U.S. shutdown has been very good for Bitcoin,” Khan said. “It goes to show that there are new systems coming to place,” he continued. Bitcoin is not just an opportunity for startup. It’s a more disruptive idea that could turn into new use cases around your money. It’s a way to transfer money around the world very easily. It’s a new tool for traders. As Khan puts it, “it’s really simple for Bitcoin: it either goes to 0 or to many, many, many 0s.” He even mentioned that large hedge funds have huge positions in Bitcoins. “They are not going to talk about it,” he said. Another positive for the currency is interest from China — a huge market whichever way you cut it. A division of Chinese ecommerce giant Baidu recently started accepting payments in Bitcoin, for instance. But Khan also pointed to interest coming from an even larger entity: the Chinese government. Ultimately, from a consumer point of view, what’s most interesting about Bitcoin are the services it can enable — instantaneous, low-cost, cross-border money transfers — rather than the technology mechanism itself. So Khan suggested there are also opportunities ahead for Bitcoin to artfully conceal itself — to become an enabler of attractive, easy to use consumer services while its own profile sinks below the surface. “What the end user expects the technology will get us to a stage where maybe Bitcoin becomes an invisible mechanism,” he added.